Struggle to carry all your gear when you're off on a trip? This rear carrier will allow you to carry luggage easily on your bike. Quality tubular steel construction with a sparkling chrome finish it is functional and good looking! Don't want a rack permanently bolted to the back? Fear not! What is cool about this rack is that it is bolted to a seperate base rail meaning it can be taken off and put on in minutes. Perfect if you're running late for that ferry and forgot to put it on! 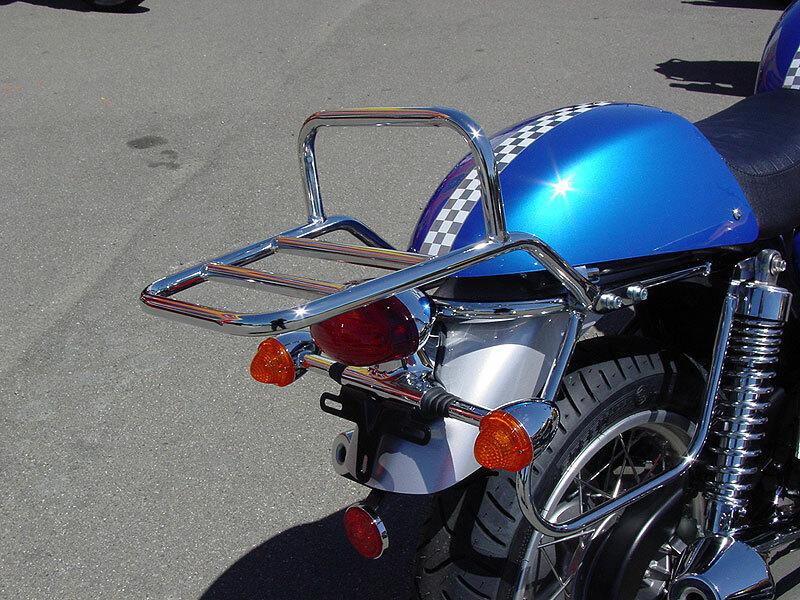 When you're not carrying stuff we have a Grab Rail available that can be mounted instead, cleaning up the lines of the rear of the bike and giving your pillion something else to hold on to. The luggage rack kit comes with the carrier, base mounting rail, fittings and instructions. Or go for the complete package with the grab rail as well. 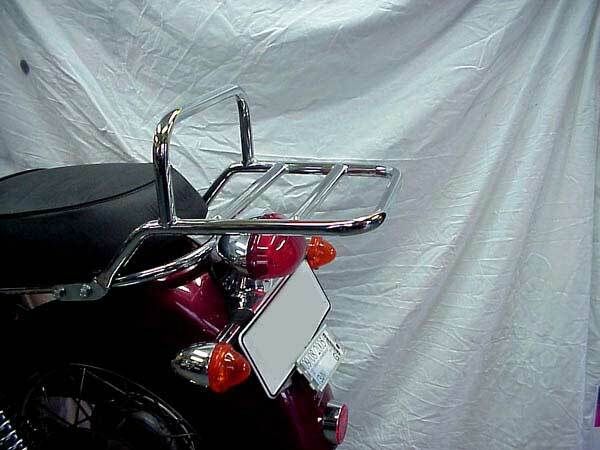 If you already have a Grab Rail Kit the luggage rack is available as a seperate item too. 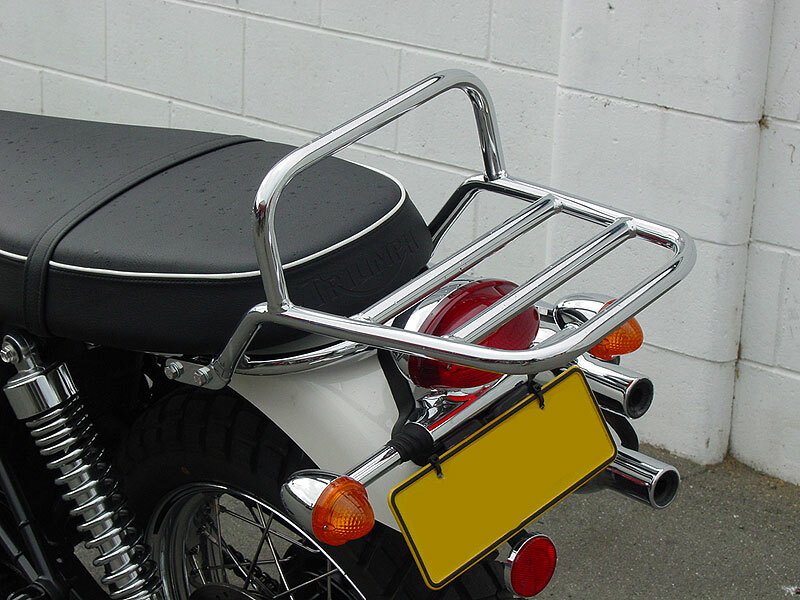 The Thunderbike luggage rack kit can be fitted to the Triumph Bonneville, T100, Scrambler and Thruxton. Chromed steel construction for strength and good looks. Proudly made in New Zealand. While chrome should last longer than that in some environments/condition, there are others (eg, coastal situations, or areas where salts are applied to the road, or even storage in a moist enviroment, like a steel container or unlined steel garage) where chrome can fail very quickly indeed. Chrome has a very porous finish and should always be waxed to prolong its life.